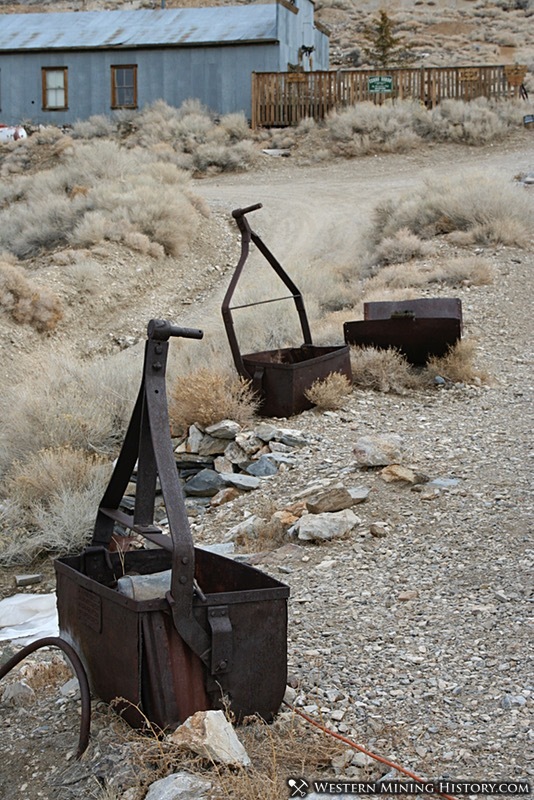 Cerro Gordo, located at a remote location east of Owens Lake in the Inyo Mountains of Southern California, was California’s largest producer of silver. The particular details of the discovery are obscure, but it is thought that the first discoveries of silver ore were made by Mexican miners in 1865. Cerro Gordo was unique in that the rich silver discoveries here did not result in an immediate rush to the area. The surface ores were very rich and less complex than silver ores of other districts, and the miners were able to extract significant quantities of silver with nothing but hand labor and crude roasting ovens made of adobe. Small scale mining persisted for many months and despite the clear abundance of rich ore, widespread attention escaped the remote district for some time. Successful merchant Victor Beaudry was the first person to recognize the potential of the Cerro Gordo mines. In 1866 Beaudry opened Cerro Gordo’s first store. It was the arrival of Mortimer Belshaw in April of 1868 that would transform Cerro Gordo into the booming mining town it was destined to be. Bradshaw had experience with silver mining in Mexico, and he recognized that a smelter would transform the district into a major producer. Belshaw immediately acquired a third interest in the Union Mine, the districts top producer, and mined enough silver to take a wagon of bullion to San Francisco as a gesture to impress potential financial backers. The financiers were impressed, and Belshaw left San Francisco as a third owner of the newly formed Union Mining Company, with enough capital to begin construction of a smelter to process the Cerro Gordo ores. 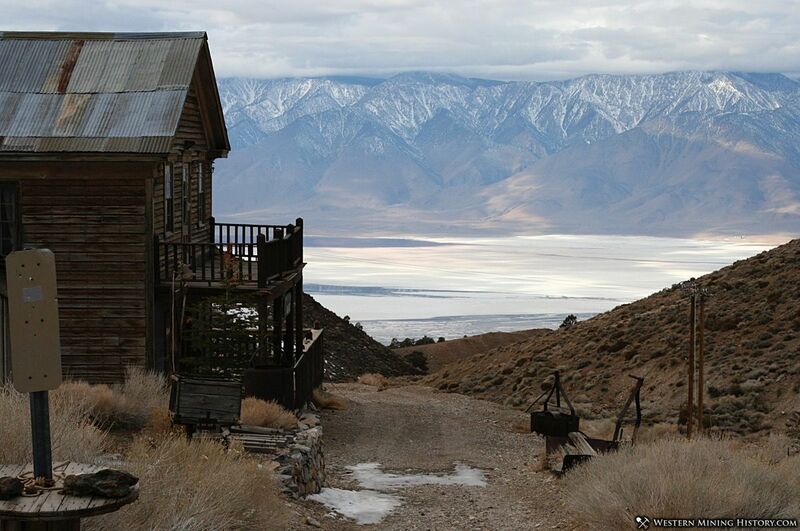 Belshaw’s first challenge was linking Cerro Gordo, situated high on Buena Vista Peak at an elevation of 8,500 feet, with Owens Valley far below. He supervised the construction of the first wagon road to the town in July of 1868. Belshaw operated his road as a toll road, and many disputes would occur during the next decade over his control of the only road to the booming camp. Not long after the road was completed, Belshaw completed his smelter. By December of 1868, silver shipments from Cerro Gordo began reaching Los Angeles. Cerro Gordo finally had the basic infrastructure it needed, and a bonanza was about to begin in the district. By 1869 Cerro Gordo was being compared to the Comstock of Nevada. Hundreds of miners, prospectors, and businessmen were making their way to the town. By the end of 1869, over 340 tons of silver bullion had been shipped from the Cerro Gordo mines to Los Angeles. Trade with the Cerro Gordo district is what brought initial prosperity to the town of Los Angeles. By 1871 the town of Cerro Gordo was booming. More than 1,500 people filled the camp and buildings were going up as fast as materials could be supplied. The American Hotel was built in 1871 and it still stands today. Cerro Gordo was known as a lawless and dangerous town during this time. Shootings and violence were were commonplace, often fueled by alcohol from the many saloons or jealous rivalries at the local brothels. In 1872 the steamboat “Molly Stevens” was put into service to transport goods from Swansea on the northern end of Owens Lake, to Cartago on the southern end, removing over 40 miles of difficult road from the wagon route to Los Angeles. The district remained prosperous for several years. However, given Cerro Gordos remote location, the scarcity of essential commodities like wood for smelter fuel and water, and the difficult freighting routes to deliver bullion to markets, the town’s prosperity relied on a complex array of enterprises all working in harmony. By 1873 breakdowns in the Los Angeles freighting routes caused a huge pile of silver bullion being stuck at Owens Valley shipping centers, resulting in temporary shutdown of the local smelters. The Inyo Mountains had been stripped bare of the sparse juniper and pinyon and wood had to be shipped in from distant sawmills to fuel the smelters. By 1875, Cerro Gordo’s water supplies had ran out and water had to be hauled in continuously by pack train. In 1877 the Union Mine buildings burned to the ground. The damage was repaired but the mine was left in debt. 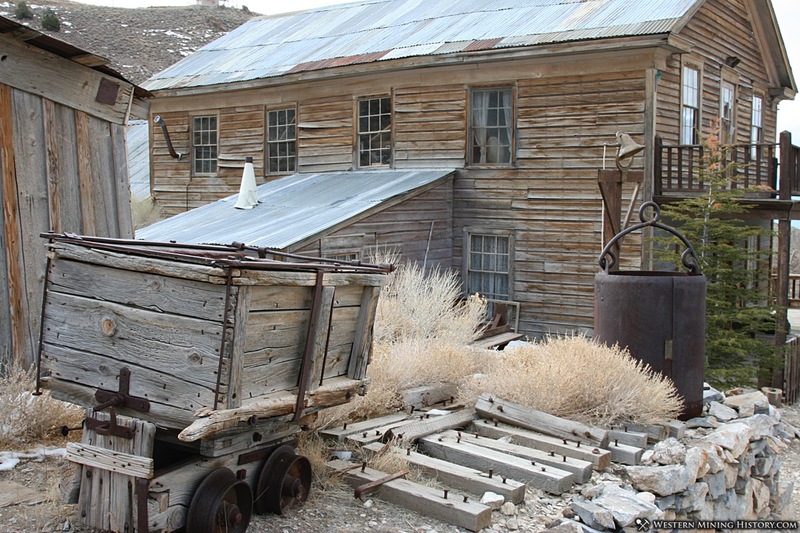 The misfortune of the fire, combined with declining yields of ore from the mine signaled the end of major mining operations by 1879 and Cerro Gordo became a virtual ghost town. In early 1880, a new attempt at working the Cerro Gordo mines was underway. On the shore of Owens Lake, the town of Keeler was laid out and a mill was constructed to process some of the lower grade ores. The Molly Stevens, which had been out of use for several years, was refurbished at great expense, only to burn and be completely destroyed before it could be put back in use. Keeler languished until 1883 when the Carson and Colorado Railroad built a line into town in July of 1883. It was hoped the arrival of the railroad would signal a return to prosperity in the Cerro Gordo district, but those hopes were never realized. The mill at Keeler was not performing as hoped and mine in the area were not producing the same high grade ores that were typical of previous decade. Several attempts were made at restarting the Union mine in the 1890s, but depressed silver prices during this decade thwarted the efforts every time. In 1906 there was again interest in reviving the Cerro Gordo mines. A smelter was built at Keeler and a steam tractor was used to haul ore down the mountain. The tractor cut the ore hauling time in half, but still could not keep the smelter in enough ore to be profitable. In 1907 a second smelter was built. In 1908, an aerial tramway was built between Cerro Gordo and the smelters at Keeler, improving the volume and efficiency of transporting ore.
By the 1910s attention had turned to Cerro Gordo’s zinc ores. In 1915 a new tramway was built to ship zinc ore to Keeler. Between the new interest in zinc, and new discoveries of high-grade silver ore, the mines of Cerro Gordo were finally beginning to operate profitably after decades of ill-fated attempts at restarting them. Cerro Gordo was once again an active mining town. In 1916 electricity reached the town and the mines of the district. Although the town had gained a new lease on life, it never reached anywhere near the enormous production and resulting riches from the boom years of the 1870s. Just as the mines were running out, another silver discovery was made in 1925. By 1929 the new discovery was in production and Cerro Gordo was once again saved from becoming a ghost town for a few more years. 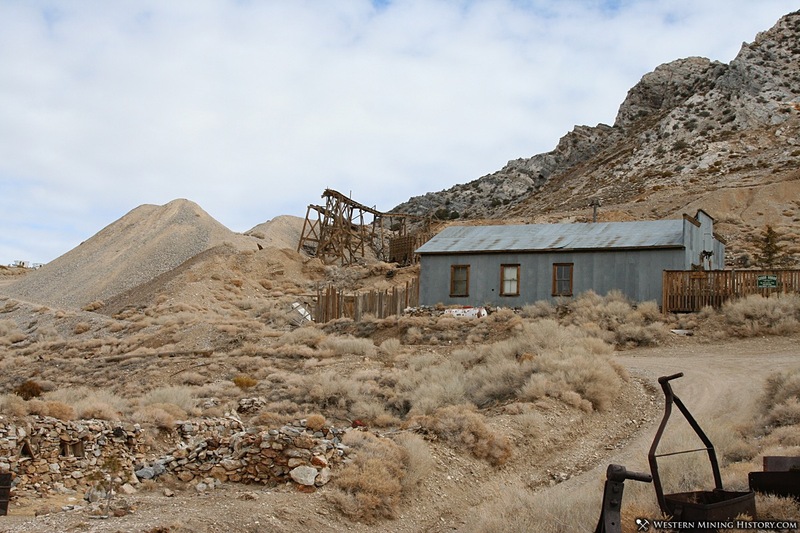 The mines of Cerro Gordo finally became quiet in 1933. Several attempts were made at locating new ore bodies in the Union mine but none were successful. Today Cerro Gordo is a ghost town with a few part time residents and a handful of preserved buildings. The aerial tram that connected the town with the smelters at Keeler still stands, and ore buckets can still be seen suspended by cables hundreds of feet above the road to Cerro Gordo.